This page sets out the different services that we offer – please follow the links for a detailed breakdown of each one and, if you have any questions, do get in touch. We do take on commissions to build new sites or undertake complete rebuilds – but our priority is to ensure we are the right fit for your project, and that we have similar expectations about what it will involve, so please email or phone us to start the conversation off. 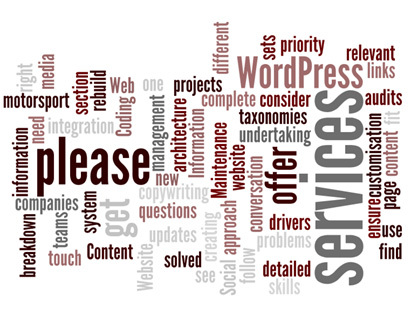 We currently use the WordPress content management system for this, so please also see the relevant section below.